The Gillespie Family: Book 3 is Released! 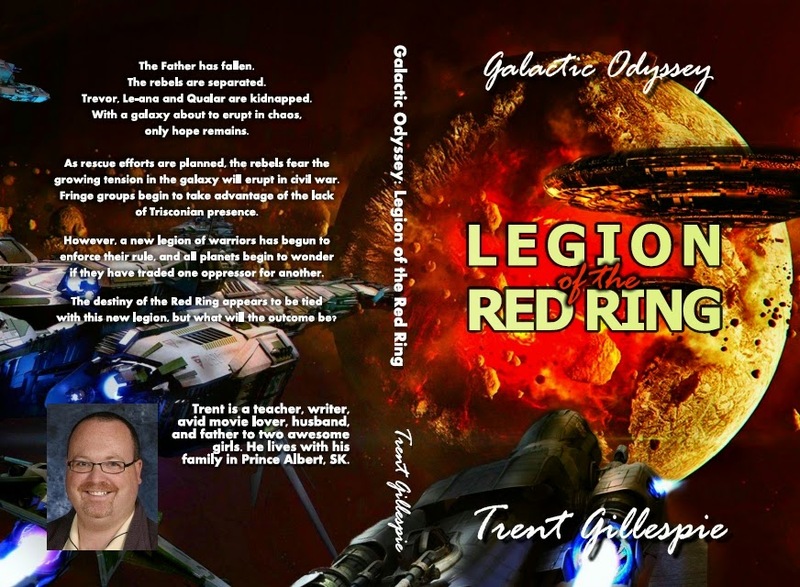 After about a month of waiting, Book 3 of the Galactic Odyssey Series is released! You can also find it on Amazon by the end of the weekend, both on Paperback and Kindle. Spread the word! In other news: I was told back in April or May that I am Anemic. Slowly but surely, my iron and hemoglobin levels have dropped below 140, which is low end normal for a man. As of my last blood test, I am at 127. I am apparently still ok to donate blood as I was able to on Wednesday this week. After scans, scopes and other tests, it is almost certain that the reason I have low iron and hemoglobin is due to my blood donations. I am just not recovering properly afterward. I am at 94 donations and promised my dad I would get to 100 for him as he couldn't do it due to his Prostate Cancer and surgery a couple of years ago. Even though the doctor said I shouldn't donate anymore, I managed to convince her to let me donate on NOT such a regular basis. I am willing to make that concession. Today: So I'm downstairs working this AM to publish my book and Ali has gone to work. I hear one of the kids get up and I assume it is Anisha. I hear some walking around and doors opening and closing. Then I hear crying. I call out that I am downstairs and no one comes. I go upstairs and my heart drops. Samantha got up and couldn't find anyone awake, and then light at the bottom of the steps in the basement were off so she thought no one was home with her. She went outside in the rain to see if we were around and didn't see our car (Ali took it to work). She came in and I found her in the entryway wet and crying. "I thought you all left me alone." I asked her if she thought of waking Anisha up to look for us. She stopped crying and said, "No, I was too sad."